It’s always safe to be a bit ahead of time when it comes to hosting events. Whether it’s a large public assembly or a small get-together, a proper event planning is a must, and an excellent idea can make the whole arrangement successful and enjoyable to everyone. So here we are, jotting down some great event ideas that will save your worries for the after party exhaustion only! If you’re mastering a jaw-dropping event and looking for unputdownable articles online, make your hot chocolate and put your stress on our shoulders! We have come up with some innovative ideas aimed for 2019 and onwards. As always, a bit ahead of time! For your convenience, we’ve put all the events into 6 different categories. However, keep in mind that many of these may overlap with each other. Let’s label a vast category of broad public activities into one hub, “public event”. This category includes all the master ideas of nailing any public event with the easiest web navigation. Are you addicted to cycling? Many are, and for those, a cycling event can be both refreshing and stimulating. You can select a venue with a beach on one side. Or you may go for something more adventurous like a mountain pathway. Start with a bunch of your friends. Include as many mutual friends, colleagues, batch mates possible. The Tour of the Dragon is a popular cycling event where a large group of riders compete against each other going through a variety of terrain. Providing enough safety is the key issue of this event. Provide sufficient amount of first aids supply. Do you live in a place where pepper is available in abundance? Then you can go for organising a pepper festival. Invite people and give them an opportunity to taste the flavour that pepper gives to our food. People coming to your event will be accompanied by friends and family. So, you need to keep them entertained. Why not bring in a band and keep the whole venue jolly? Through your event, you can let the whole world know about your culture and country. The small town of Espelette is well known for their Pepper Festival which takes place throughout the last weekend of October. This is an excellent example of how you can arrange a popular public event using a seemingly strange idea. After a hectic week of work, what people want is to experience some fun. Why don’t you organise an event with that in mind? The best way to relieve a person from all the stress that has built up within is through some quality comedy. Public Oktoberfest get-togethers are becoming popular all over the world and are essentially imitating the traditional German festival that takes place in Munich. There are popular mock Oktoberfest events in South America, Canada, USA, and Australia too. There’s no reason why you can’t plan your own and sell tickets to the public. There are many good things about these festivals such as the costumes, the German beer, and the general spirit. If you’re from North or anywhere apart from Germany, bring out the versatility of the fest by whisking your culture with it. Make it a field of exercising multiculturalism! Make it more eventful by adding costume party, photo booth party, firework party etc. This post might help you as well. Kite flying will let you feel an essence of freedom. Invite people to come and take the sky with you. Journey together like a flock of birds to see who can reach the highest peak. Organising a kite flying festival is sure to bring back everyone’s childhood memories. The best time for you to arrange a Kite Festival is the month of April. April is known as the National Kite Month. Now, if you are new to organising a kite festival here are some guidelines for you. As this is your first event, why not bring some celebrities for publicity. You should also invite some specialists in kite flying. There is nothing quite like losing yourself to good music, and live music events will always have strong demand particularly if the artists are well known. But hey, you can rock a show without the known artist if the electric mazes of colors are on, people can be grooving around to have a good time. So as long as you’re not the singer, be artful! Set the play onto the soft grass, keep keen attention to details like the good sound system, spacious field for everyone, welcome drinking and make their day unforgettable. If you want to arrange a film festival, you need to grow an aesthetic sense of art and literature and a very persistent mind to research for the perfection of selecting the right movies for compatible audiences. Right marketing to the right crowds will get you the certain niches within the industry and an instant success. Focusing on indie and lesser-known filmmakers and giving them a platform to get their message out is one strategy often utilised. There’s nothing better than a festival where you can try out different dishes. Tbh, we all love to eat, right? Throw a cooking event where anyone may join in. At the end of the event let people taste the different dishes. Give them awards or just fill their appetite with their favourite food! Can anything be any bigger award than food? Whenever we see delicious chocolate, our mouth starts to water. Just think about how popular an event hosting a variety of chocolates would be. The Salon du Chocolat held in Paris is an event where every chocolate lover wishes to go. Along with famous judges, let the people become the judge too. Based on the combined marks given, reward those fantastic chocolatiers who deserve it. For your event, if possible invite a bunch of famous chocolatiers and professionals to come to a single platform and show the magic of their hand. It will give the public coming to your event an opportunity to enjoy the delicacy that has been extracted from cocoa. If you are conscious about your health, then there is no alternative to running. So, why not turn this beneficial health factor into a fun event? Make this an open event for all. Invite people to join you for a run, jog or walk. You can also divide the route into several distances. Include a spectacular sight in your path. Through such an event, you can bring your whole community together and create a place for interaction. The City-Bay Fun Run is a such an event which takes along the along the beach of Glenelg. 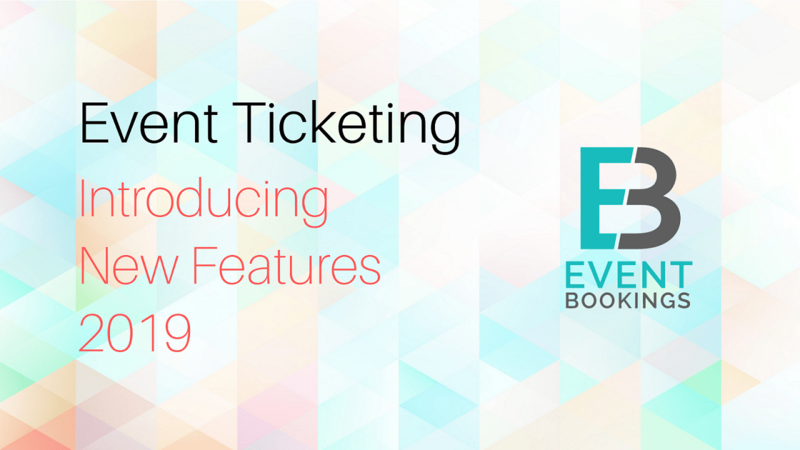 By using our flagship application EventBookings you can easily set up your own event page and smoothly manage your event registration and ticketing system for any scale of event. Our practical pricing model is one of the most convenient (and cheapest!) in the market, with an option to use the full solution without paying any service fee for event organisers. If you’re interested, you can take a quick look at how EB works for you. Whether it involves children or adults, a talent show is a great way for people to show off their skills and entertain others. One of the great things about these events is that just about anyone can enter – you can have actors, singers, comedians, gymnasts, musicians, and people with other skills performing at the same event. If you want to keep it as a light-hearted platform of motivation in the future, you can create an online polling or voting system for the audience to decide who to win! The subjective opinions better kept aside! Who wants to go home feeling unfair anyway? There is no better way to share your research ideas than a friendly science gathering. Invite people to join your science event. A place where you can learn about the new technology and system is sure to attract a lot of people. Be sure to complete the registration procedure a couple of days before the event. It will help you estimate how many participants will be displaying their projects at your event. Based on this number, your next step would be to search for a suitable ground for hosting this fair. You have to provide those participating with a stage, from where they can convey their knowledge to others. Based on your budget, determine for how many days the fair will take place. You must always keep track of is if the audience coming to your event are having fun. We may compare Puppetry to storytelling, and all of us loves listening to stories. Puppet shows have the potential to become vibrant events that everyone can enjoy. The World Puppet Theatre Festival in an international exhibition on dolls that is held after every two years which brings thousands of people together. To arrange an event of this kind, you’ll want to bring together expert and prominent puppeteers from all over the globe to display their story, culture and comedy through puppets. Within your whole event keep some puppet shows should focus exclusively on children. Why not arrange something more exciting and challenging, like a sculpture exhibition? You may organise an event open to the public and the person making the best sculpture will get a reward. Do you know why people will want to participate? It’s because making anything with clay is fun and they will have an opportunity to give their thoughts a form. Take a look at the wonders that can be made from clay. It’s a budget-friendly event, can be among the crowd just for fun too! Tips? Use your imagination and creativity to the fullest! How about creating an event where you communicate with one another through a universal language? Yes, it’s the language of dance. If you want to show variety, then invite people from the far corners join your event. You may decide to emphasise on representing the culture, life, time and emotion through dancing. Or you can just make it a casual dance event, targeting a younger group of audience. Now let’s briefly come back to a serious event. You can organise a short-term workshop on something you have expertise. Team up with a bunch of enthusiastic geniuses, set up a narrowed down objective, and find a manageable number of applicants. You can do it as a selfless public service, or with a commercial purpose- but it all depends on you and your expected team. Schedule your workshop in the daytime to utilise the natural sunlight and everyone’s convenience! A writer’s festival is the perfect event for book lovers to meet with their favourite writers. By bringing both authors and readers together, this event is sure to create a hype among people. People coming from all around can entangle themselves through interviews and discussions about their favourite writer and their writings. There is a vast category of books available to choose from for a writer’s festival. Pick one genre or a selective few. If you want to focus on a particular topic, then you should also add a related theme to your event. The Canberra Writers Festival is a place for gathering those bookworms. A battle of the band’s competition functions quite similarly as a talent show, in terms of how it is planned and organised. As the event manager, you can allow bands to enter the competition – whether the entry is restricted or open to all is up to you. You can also sell tickets to those that want to come and watch. Any event can be regarded as a social event, as long it’s aimed for the welfare of the society! Charity and fundraising events can range and vary considerably, but they are often focused on social activities and community involvement. So why not thinking out of the box and coming up with new innovative ideas? Let’s take a look at some good examples for you. It’s not gambling when you’re raising money for a good cause! But it’s still a lot of fun. In the spirit of giving, you always have the option of setting up a temporary casino with the earnings going to charity. Hire professionals and mimic the décor of a casino as closely as possible. Couple it with the homely and generous nature of a charity event, and you’ve got the recipe for success. Schools do a lot to promote creativity and inspire young talent. However, today we are beginning to see a decline in interest in the arts in several school programs. Having an event to support this kind of initiative can be an excellent idea whether it’s put on by the school or an external party. This is a way to introduce potential future couple, or just embarrass the men involved depending on how you look at it! The idea here is to find a few young, attractive fellas that don’t take themselves too seriously and are willing to give up a bit of their time for a good cause. At a charity event, you then have women (or men possibly) bid on them. The winner has the chance to take them out for a nice date. The winnings are given to charity. Keep in mind that these are generally wholesome, family events and ultimately a bit of fun, rather than something to be taken seriously. For all the animal lovers out there, you can organise a pet show open for everyone. It will be way easier for you if you promote your program, call out all the pet lovers-owners along with their pets and try to get a sponsor. Don’t forget to take the necessary precautions while arranging the show at a spacious venue. Communities are becoming more and more lenient and welcoming towards the multiculturalism. Societies are turning into open exhibitions of more colours, more variations and more ways of celebration. So you can throw an event regarding the multicultural hustle where local people from different ethnic backgrounds get to showcase their own culture and the universal triumph of the cultures all together! If you are a wanderlust yourself, arrange an explorer club session. In your event, people will be invited to talk and discuss their desired destinations. With the help of sponsors and travel agency, you can help them with different queries, or help yourself with some clarities from them! You can also arrange a tour annually for the subscribed members too. Food is made to be eaten, yes, but also to be exhibited as art. It is art, after all. These shows display food in various shapes, designs, and arrangements. These events are quite different and unique, but are genuinely enjoyable and showcase some amazing creativity. Invite talent from all over and promote their achievements by helping them collaborate with patrons for their future projects. Gather around all the creative people out there and arrange a DIY crafting challenge. As a platform of showcasing the talent, you can categorise the crafting session into different sections like clay crafting, paper crafting, wool crafting etc. you can put the products in a sale as a means fundraising as well. Social skills include professional, etiquettes, mannerisms, body language, appropriate gestures etc. With a few professionals, you can open a workshop that emphasises different social skills in different situations open for everyone. Conferences and conventions are the best way for professionals in a certain industry to come together, network and share ideas. Often these kinds of events span multiple days and a great deal of work needs to go into the planning and organisation phase. Because conferences are usually large gatherings, finding a suitable venue can be quite challenging. Safety, media and who you will find as keynote speakers are also important considerations. A singles speed dating night creates an atmosphere where strangers can get together, have a chat and meet new people. These events are usually fairly easy to set up, with the majority taking place in a bar or pub. Guests are matched up for mini-dates throughout the night, and eventually, nearly everyone has a chance to talk and get to know each other. Keep the raffle draw option in mind, which can be a welcome addition to a larger event. The idea is that attendees pay for tickets in a raffle for the chance to win a prize on the day/night. Creating an event solely based on the raffle draw around a holiday or a season or a sales event can also draw in large crowds and enhance your brand identity. Formal events like these are often put on as a part of a larger organisation or institution, whether it be a school/university, company or society. Regardless, these can be memorable occasions and usually involve speeches or presentation of some description. Visual imagery and explosions are one of the best ways to get people’s attention. In the case of fireworks, it’s particularly hard to look away. A fireworks show is a great addition to another event idea for large groups and can help drum at interest for some other display or initiative you might be organising. Just be wary of the fact that there are usually government and council regulations associated with the use of large fireworks. We realise how important team building events truly are once we get into the corporate world. Teamwork stimulates our cognition and expands more and more. Hence, team building events require a bit more teamwork and help create a solidarity bridge between parties. They’re also a lot of fun and can often make you think outside the box. Who doesn’t like bowling? For your coworkers and employees, you can arrange a bowling night event between two teams. The first team may go for the strike; first, the next group will bowl for the spare. Spare will have more scores or vice versa. The teamwork and engagement will be remarkable. The scavenger hunt is another team building event for all the employees. According to the overall convenience, arrange an exciting mission with a series of riddles and let the adults have fun like teens. There is a singer in all of us, even if for some it only comes out in the shower! Arrange a karaoke night and allow people to showcase their singing abilities while having a laugh. Truly a great bonding experience. Adventure sports is a thrilling niche unto itself. Rock climbing works on many levels as a team building exercise because it requires a lot of teamwork and it’s physically testing. Whether you make it an outdoor adventure or just get together with your colleagues and drive down to the local indoor rock climbing center, you’re sure to have a grand old time. 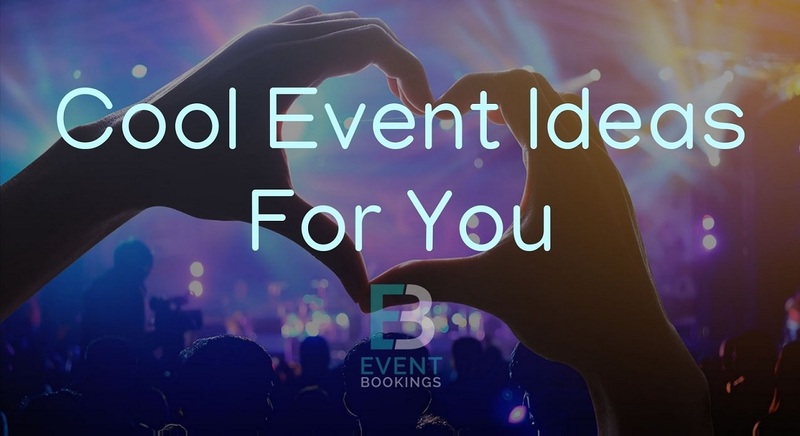 By using our flagship application EventBookings you can easily set up your own event site and smoothly manage your event registration and ticketing for any scale of events. Our practical pricing model is one of the most convenient (and cheapest!) in the market, with an option to use the full solution without paying any service fee for event organisers. Even if you don’t know much about wines, a wine tasting outing is a lot of fun. There are wineries and wonderful wine districts within a reasonable distance from most Australian cities, so you have plenty of options! They say the way into someone’s heart is through the stomach and a cooking class is a good way to polish up those important skills. A cooking class can be a fun, interactive event for people of all ages. Try picking a dish that is a little unusual and challenging to cook. This just adds to the fun! Cooking classes can be put on and organised by chefs, or you can plan such an event yourself and bring an expert it to run it for you. Nothing binds a team together like doing an improv class. They can be very challenging and put people out of their comfort zone like nothing else. There tend to be a few embarrassed people and a lot of laughs – it’s all a part of the fun. It also builds chemistry between those partaking in the class and creates connections. This is going to be a hilarious ice-breaking session for everyone! Make a list of the favourite celebrity or fictional characters. The employees will randomly pick a name and impersonate in front of the audience. You can arrange relevant costumes for all the participants and a voting poll for the best impersonator! Mutual understanding, empathy is the vital issues when it comes to teamwork. You can arrange a psychodrama event where the coworkers will get to reverse each other’s role for a day. You will see a significant change among the employees’ perspectives about each other’s purposes and importance even more. Do you consider yourself a successful event manager? Check how many skills you’ve got! An employee appreciation day is all about showing gratitude for the exemplary work of an employee or a team or a project – anything that says to the person their work is valuable and valid. It is a great morale booster and allows management to give back to their team in however way they see fit. Everyone has a motivational story on their own, a survival story of their journey, their daily struggles and the ways they overcame all those. Give a floor to your employees to be your motivation along with each other. 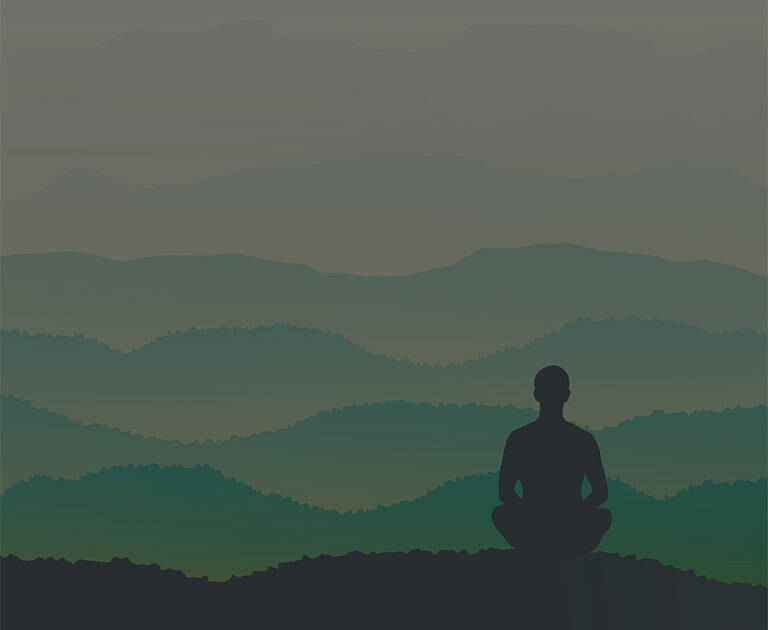 Arrange a very inspirational session of the employees opening up to themselves in front of all the others and spread positive energy among the audiences. Arrange an environment-friendly campaign for your employees as a fundraising revenue. With a strategic set of initiatives like distributing recycled products, sustainable food items, planting trees etc. you can also promote the eco-friendly corporate policy of your business. Volunteering for a community purpose with your workmates is an excellent way of strengthening the mutual understanding and solidarity between coworkers. You can organise a fundraising event where all the coworkers from different positions get to work together selflessly. The learning experience of the Internet age, Webinar’s are more than just a fad. In fact, they might be described as an online workshop. They remain a popular way for consultants and experts in a certain field to educate and/or train their others. Or just a means of sharing information among team members. A Q/A session, for instance, is a popular webinar format in the professional space. Playing crosswords in a group setting is a stimulating mind game. The amount of brainstorming each group will have to go together will lead to sustainable teamwork even in a work setting. Here we have mentioned a few of our favourite ideas you might consider for your next party. Some of these are a little challenging to get right but they can certainly be pulled off! The Roaring Twenties remain one of the defining times in the modern era, a time in which culture was transforming. The music and outfits make this period unforgettable and themed parties are actually quite common and popular. Planning an event around the Roaring Twenties is sure to draw in plenty of costume geeks, with many different options including the Great Gatsby look, Chicago gangster look, and many others. Dress up parties can work really well when the costume acts as an ice-breaker and conversation starter. The trick here is to give your party a theme where everyone where’s something different or has their own interpretation. Having your guests dress up as a famous person from history can make for all kinds of wonderful costumes. Get out of your regular party ideas and do something exhilarating for everyone! Arrange a thematic flash mob of 20-50 people in an open space. Come up with a unique theme or message you want to deliver. Have a mashup of songs that are very popular and catchy. Incorporate the main motto in every dance move and stun the audience with it! The thematic flash mob can also be a significant fundraising revenue! No matter how young or old you are, you certainly have a pop cultural idol you have been obsessing over for years. Maybe it’s tough luck encountering them in real life, but how about you pull off their roles for a day and become an idol. You can arrange this role-play contest of all the iconic pop culture idols. Cosplay, impersonation, imaginary ole alteration, you can make this show a versatile as you want! The good ol’ Halloween party is a very American concept, but it’s made its way into Australian culture now too. The concept is really fun and remains one of the year’s best dress-up events that people look forward to. So many costume options to play with! It is never too late to step into a time machine and relive your high school years! There are plenty of options with this kind of party theme, whether you choose to dress up as a nerd, a jock, cheerleader, goth or whatever else. Guests can even pack their lunchbox too. Geek parties follow a similar theme where guests dress up in school outfits and play up the nerd troupe, with painted on freckles, suspenders and propeller hats. Entire generations have grown up in heart-warming Disney films. We all relate to a particular (or several) princes, princess or any character, and we all know the stories so well! Whether it’s a simple dress up party or if you want to go all out and have a Disney ball, there’s definitely potential for this theme to be a raging success with the right kinds of people. This needs zero introductions. The irony of wearing your ugliest jumper makes these get-togethers an instant hit and creates a fun, humorous atmosphere from the outset. Nearly everyone has an ugly Christmas jumper hiding away in their closet somewhere! You can arrange a surreal “Glow in the Dark Party” for a big hit. Arrange different kinds of chandeliers, light sticks, Balloons and other party tools made of phosphorescent materials. Come up with enchanting party themes for the most exotic party in your locality! Prom night is probably the most anticipated night of the teen life. But some people have bittersweet memories, some people have never been at a prom! You can arrange an adult prom night for all the adults out there! Bringing those silly yet nostalgic vibes into it will be a great way of reminiscing the old days we have all left behind! The Hawaiian theme is relaxing, comfortable and perfect for a summer’s night. If you have a beach nearby, it’s basically a must. It can also help you choose the cocktails on offer, music at the party and food that is served, which can all have Hawaiian touch. Sometimes it’s nice to spice things up and do something a little different with those people you know best. Why not try out one of these small events with a few of your closest pals? This is one of the best events you can host for your friends. Arrange a series of favourite movies for your friends. An open meadow nearby with a stockpile of snacks, drinks and comfortable divans for everyone- a perfect movie venue. You can also make this event as a fundraising revenue with your friends. Obviously, you can get together with people and organise a night centred around any video game, but Mario Kart makes a great option because nearly everyone has played it or is familiar with it, and it’s easy to learn and compete for those who haven’t. Getting out there and exploring can be a lot of fun, particularly on a nice day. Organising an event where we re-familiarize ourselves with the environment on foot and embrace the area raising us can bring about new-found love for the locality. Trekking and hiking trips are also very popular and can fit a range of different settings – whether it be with friends, colleagues, or strangers. If you haven’t gone on camping trips with your friends yet, you are surely missing out something great big time! A getaway camping with friends out of the busy schedules will you give a tremendous boost of motivation to go back to work! Have planning, pick the right venue and advertise your event on social media! Humans are social animals, it is in our nature to take part in group activities and there is no grander expression of that than sports. Football, Basketball – you name it. Any team sport to ignite the inner competitor in us will be a big draw, at any time. If you think about it, your bosom friends have been sticking around with you through thick and thin for years. But maybe you never got to tell him how much you appreciated their presence and support. On holiday, make a gift exchanging event just among the friends! Let them write appreciation letters for each other and let the receivers read the notes out. Some of may shed some tears out of emotions, who knows? Everyone masters in cooking at least one dish. Throw an event where your friends get to bring their signature dish, one meal per person. It can be a secret competition too! Everyone will vote and announce the “chef of the party” after devouring the delicious meals! We miss nothing more than the good old days with friends we left behind years ago. So why don’t you organise a friends reunion fest this time? Jot down a long list of names you want to invite months before the reunion. Set a perfect weekend depending on everyone’s convenience and availability. You can arrange a mini photo exhibition of those old days with friends. Having a tone of nostalgia and reminiscences will allow the guests to have a very heartfelt time altogether. A great event for small groups is an Iron Chef night. This is something of a competition. Friends or even strangers get together and put their cooking skills to the test! The idea is that each cook has a set time to prepare a meal with certain ingredients. In the end, the group eats both meals and decides whose was the best. Sometimes, you need to stay in and spend quality sleepovers with friends. And it doesn’t have to be as lazy as the typical slumber party! Just make sure everyone gets cozy blankets to sleep after 4 am, but up until then, make the night memorable! Flooring, patio decorations, food arrangements, perfect cocktail mixtures, recreational games/ activities- trust me, it all needs planning. And you don’t want to make your friends yawn before midnight, do you? Who doesn’t love a board game night? Before the days of video games and modern technology, people would often get together for a few laughs playing such classics as Monopoly, Pictionary, Cluedo, Risk and/or Battleships to name a few. A little suspension of disbelief is not too bad for us from time to time. This is an option as an event on its own or part of a themed party – regardless of the nature of the event, it is hard to resist the temptation of the unknown. Fortune tellers can even be hired for simple get-togethers if you’re in the mood! Now after exploring all other categories of events with us, let’s chew over a mashup of all the planned schemes altogether. These kinds of events may be a little more off-the-wall and daring – not necessarily for everyone. Or they might just be useful in all kinds of “living it up” situations. You may have heard about the Comedy Central Roasts. Well if you’re feeling daring you always have the option of putting on a roast of your own. Usually, this would be appropriate only between people that know each other very well, but it really depends how far you want to go with it. The basic idea is that you have a guest of honour, who everyone else gets up and makes a few jokes about. It’s all in good fun if you can find the right scenario – and people – for it. The success of this kind of event can depend on how seriously you take it and the kind of guests you’re aiming for. As a bit of a laugh, you might plan a strong man or some other kind of sporting competition between family members, groups of friends, or people in the office. There are so many fun ways to dress this kind of event up and a lot of potentials to make it pretty unforgettable! Such make sure you plan it out properly and think about the kind of events you’d include. Certainly not for everyone, a rap battle can be taken super seriously or just be a chance for a bit of silly fun! Often your ability to put on this kind of event will depend on the talent of the people you have performed, but keep in mind you can also dress it up as a bit of a parody of a true rap battle. It’s not easy to get this right but it can be a lot of fun and is truly unique if you have the right kinds of performers! If you are into multi-fandoms of different fictional books, movies or series – this is a perfect event you can arrange and find all the geeks in your locality. Make a database of all the popular fandoms in your area and invite all the fanatics to your event on social media. The assembly can include cosplay, exchanging books or collections, open discussions, fan arts, fanfiction competition etc. Who doesn’t like binge playing video games all day long? For those gamer junkies, arrange an exciting live-action gaming tournament! Don’t forget to have audiences around them to make each match a total nail-biter and to enjoy their hilarious reactions while playing! Every cocktail party has some drinking game series that leaves people even drunker as the time passes. Whether it’s a cocktail party or a non-alcoholic get-together, drinking games are always fun. Come up with some unique riddles and schemes of quizzes for the game to keep it going. Don’t be triggered; Sumo throwdown contest is not literally for “Sumos”. Sure, it’s a Japanese form of ancient wrestling by enormous wrestlers, but that doesn’t stop you from trying it. It’s instead been massively popular among people. You can order jumbo sized Sumo bodies for the participants and have a hilarious wrestling show for everyone. For hours of contagious laughter and hilarious Snapchat stories, arrange funny adult skit segments. Participants will be divided into different teams and come up with themed skits. Both for kids and adults, this is a very healthy and entertaining way of icebreaking in between. With people who have a questionable singing talent can be added into lip syncing challenge participants category. There will be a list of popular songs; participants will have to sing as realistically as possible. The most realistic “performance” will win the contest! All the serious drama that you encountered or watched on TV, read in books- how about you arrange an event where participants get to make a silly parody version of those “hyper-serious” characters? Form different teams, each team will script their skit. And the dramatically hilarious team will win the event! You can have exclusive guest appearances as well! Just make sure the parody doesn’t evoke offensive issue or political turmoil. For a perfect summer party, arrange a colourful water slide party. With colourful water bombs, water balloons and inflatable slides- organise an ideal party for friends and family. It’s probably not the cleanest party idea out there, but sometimes the cleanliness has to be sacrificed in the name of having fun! No matter how childish it sounds, you can’t deny not having fun bouncing on a trampoline. To let the “big babies” have fun, you can arrange a giant trampoline and include a scheme of games for all the participants. Fortnite dance moves have been winning over the internet! So why not arrange an entire contest over a Fortnite dance? Contestants will randomly choose dance moves. Unless they groove accurately, they’re out! There is a range of different kinds of puzzle or treasure hunt-style events that create a sense of excitement in participants. Whether there be a Sherlock Holmes-type narrative where participants are solving a crime, or it’s more of a fitness, orienteering challenge, there are plenty of options to choose from. Escape games are all the rage nowadays, where a team is trapped in a room and must follow clues to escape. Usually, these kinds of events are great for kids, but they can be a fun activity for adults as well. One way to drum up interest and intrigue about your event (although it is quite risky) is to keep the actual details quiet. If the actual event is a bit of a mystery, and guests just know the where and when, it can pique people’s interest. If presented and marketed in the right way, the curiosity can build up excitement and hype pretty quickly. So there you have it, 90+ event ideas that if nothing else, provide you with food for thought for your next big event! Keep in mind, you can combine and mix-match these event ideas if it’s appropriate, after all, it’s about making things as interesting and fresh as possible. Good luck! Admiring the dedication you put into your blokg and detailed information you present. old rehashed information. Great read! I’ve bookmarked your site and I’m including your RSS feeds too my Googlpe account.